Feather Cut Hairstyles for Long Hair. 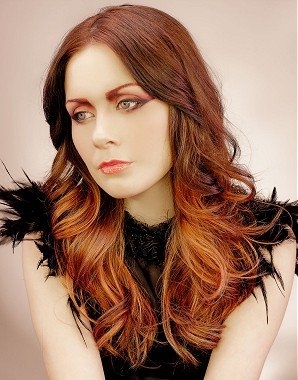 Longing to find the best feather cut hairstyles for long hair? Have a glimpse of the following hairstyle alternatives and see if any appeals to you. The '70s and '80s style influences are surprisingly relevant today and one of the most convincing examples seems to be the feather cut hair style. It's years since Farrah Fawcett popularized the feather cut for long hair but it seems that the fascination with the style is still constantly being revived and several approaches aim to keep the style current and relevant today. Those who share a similar fascination with the hairstyle and wish to get a similar haircut must first learn the difference between layered and feathered hair to know how to express their desires clearly. Layered and feathered hairstyles might seem incredibly similar, yet there are some fairly important distinctions between the two. While layers are used to add volume and dimension, feathered cuts are a bit edgier and manage to add more drama to the overall look. They are thus choppier and can be easily texturized. 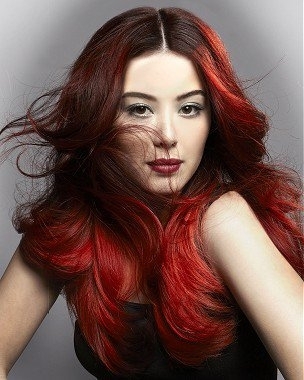 Long hairstyles are the best choices for those looking for a mix of drama and femininity. With a strong commitment towards styling, the potential of looking spectacular is extremely high. Focusing on color is one of the simplest ways to keep the style current. Simple color contrasts can add a new dimension to the look without too much effort on a daily basis. 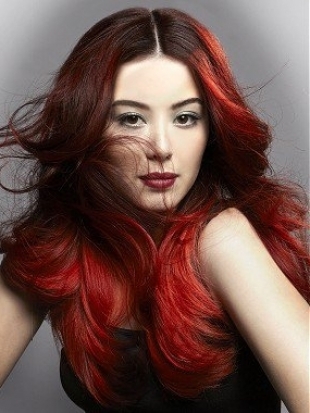 Softening up the hairstyle with a few curls can make the look fun and dramatic or romantic and stylish. 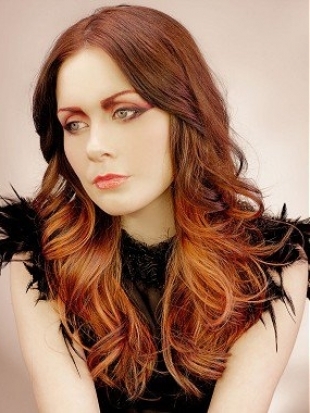 A feather cut hairstyle can be easily customized in a multitude of ways for a breath-taking result. A feather cut is as versatile as it is edgy, so before opting for the style, make sure you're ready to allocate enough time on a regular basis to unveil its full potential. For an even stronger contrast, bangs are an ideal choice. There is definitely a strong impact when a fab fringe style is added and certain facial features are well emphasized. The styling alternatives are only limited by one's creativity and the palette of options is only restricted by some lifestyle constraints. The higher the lifestyle constraints, the softer the recommended versions. Don't settle for simply recreating the original feather cut. Do your best to make it as personal as possible whether it means following the latest trends and emphasizing edginess or going for a soft version and making it as romantic and toned down as possible. Let your creativity thrive and you'll definitely be much more pleased with the results than if you had simply gone with the most popular options out there.